"Dying's easy, rock and roll is hard." 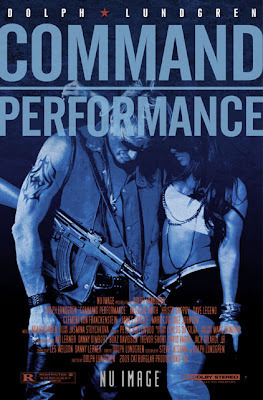 Command Performance is a nice, entertaining Dolph Vehicle, perfect for people that are already fans of his going in. At a special charity concert in Russia, many people are in attendance: a stadium of cheering fans, the Russian President, his two daughters, and even the American President. But also evil terrorists, led by Kasov (Legano) that hold the officials hostage, as well as the Britney Spears-like opening act Venus (Smith) and shoot up the place. But there’s one thing those evildoers didn’t count on - the mysterious Joe (Dolph) - just Joe - the drummer for hard rock band CMF. He would have been shot, but luckily he ducked into the bathroom to smoke a joint, so his life was spared. Great message for the kids. After teaming up with Mikhail, an FSB (Russian Counter-Intelligence) agent, it’s time to do what Dolph does best: take down the bad guys! But will a dark secret from the past intervene? Is there anything Dolph Lundgren can’t do? He stars in, co-wrote (with Steve Latshaw of all people, the man responsible for writing Scorpio One (1998), and Extreme Limits, 2000), and directed the film - and did all his own drumming! The movie is definitely an 80’s throwback, and that seems to be the area where Dolph is most comfortable. That’s fine with us! Kind of in the Die Hard (1988), Sudden Death (1995) ("Die Hard in a hockey rink!") Under Siege (1992) ("Die Hard in a Submarine! "), Executive Decision (1996) ("Die Hard on a plane!") and Anna Nicole Smith's Skyscraper (1996) ("Die Hard in a building! "...oh wait) etc... school of “antagonists take over a place and one man must stop them”, there’s plenty to enjoy in Command Performance. Groaners of one –liners (“Watch The Hair, Dude!”), a good pace, and Dolph dispatching the terrorists in novel, creative and music-related (!) ways. He didn’t expect a terrorist takeover and he didn’t have a lot at his disposal to work with. He had to be creative and improvise. Just like a drummer. Lundgren’s young daughter Ida is on hand as one of the kidnapped Presidential daughters, and she does a good job. Can we expect a Lundgren acting dynasty someday? Only time will tell. But on the slightly negative side, the film quality was a bit video-ish and there is some unfortunate CG stuff floating around...it would have been cool to see better film stock and more emphasis on practical effects, but you can’t have everything these days. We’re just grateful they’re (or should we say he’s) still making movies like this. We can’t complain. In all, Command Performance probably won’t win over any new recruits to the macho world of Dolph Lundgren or action cinema, but for his fans, it’s a real treat. I loved this movie! It wasn't as downright silly as Direct Contact (which I prefer, just slightly) but it was a lot of fun. 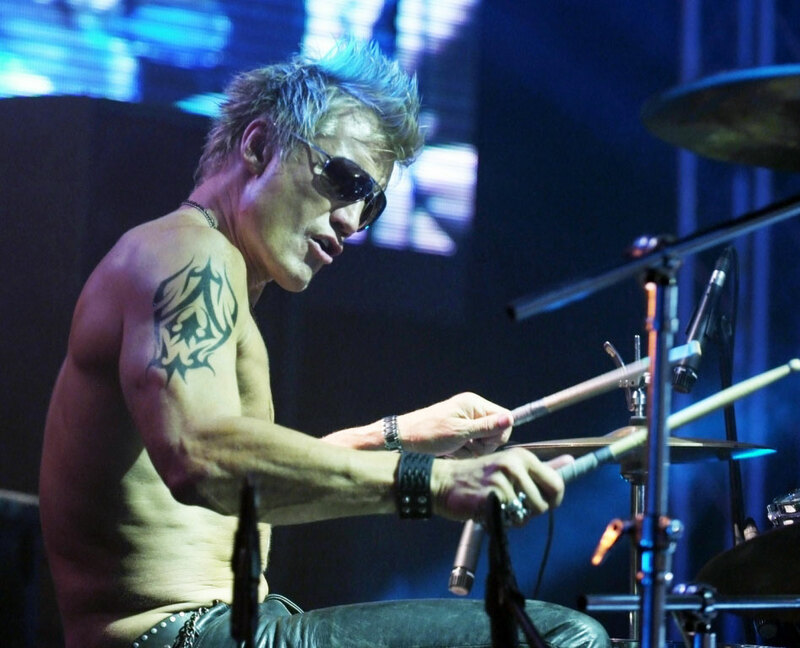 And Dolph can actually play drums! I was disappointed in this film, although it isn't half that bad. But... I had extremely high hopes for it, and when it was all done it turned to be "just another B-action flick", one of many I'll see and forget. 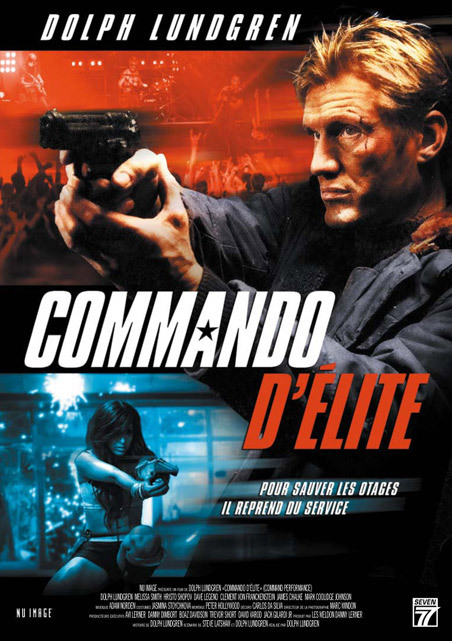 Dolph should do a sequel, a better one. Joe is too cool of a character to let go. The movie was pretty fun! One of the only flaws is that it had some dodgy CGI. Loved the character of Joe! Would be interesting to see a sequel. I just thought the action was rather uninspired, even for a B-film. I know Dolph can do better. Now, The Mechanik is one of his best movies to date. Limited CGI and pure gritty action. a little bit better than Command Performance. Sutekh: Direct Contact is really fun and it was nice to see Michael Pare as the villain. this is on our watchlist. the die hard formula just can't lose. and the original punisher movie. Playingthedevil: I definitely look forward to your review!